Do you like dogs? If you do, then the .dog domain is perfect for you. It is suitable for websites which offer useful information about nurturing a dog, different breeds, pets fashion accessories, etc. 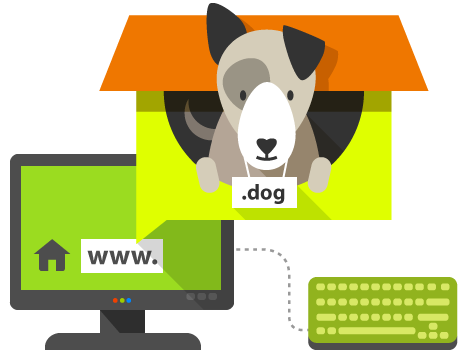 If you possess an online store, which offers food or toys for dogs, the best domain extension for you is .dog. More eccentric dog lovers could create a website, dedicated to their pets.